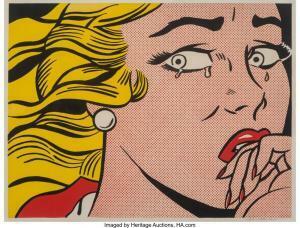 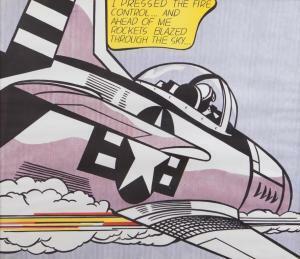 Find artworks, auction results, sale prices and pictures of Roy Lichtenstein at auctions worldwide. 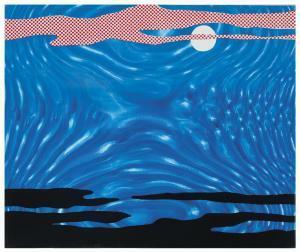 Roy Lichtenstein (American, 1923-1997) 22-1/2" x 28" "The Red "Horseman", 1975. 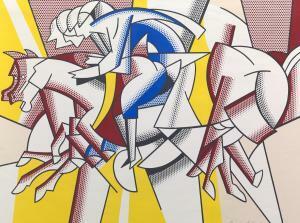 Color lithographic gallery exhibition poster for Leo Castelli Gallery, featuring a reproduction of Lichtenstein's "The Red Horseman" painting, signed in pencil lower right by Lichtenstein and dedicated "To Algesa and Joe with Love" for the American Cleveland School artists Algesa and Joseph O'Sickey, unframed.